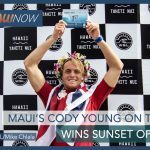 The opening day of the World Surf League Sunset Pro witnessed Maui native and big-wave specialist Ian Walsh easily advancing in his heat. 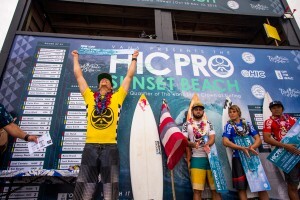 This is the first QS event of the 2019 WSL Hawaiʻi/Tahiti Nui 2019 season and wave faces ranged from six-to-eight foot at the iconic Sunset Beach on Tuesday. Walsh has been victorious at Sunset before, and his seasoned experience was evident from the start. Kauai’s Cole Frye (HAW) and Peru’s Sebastian Correa (PER) turned in top performances. Also making the most of the conditions was Peru’s Sebastian Correa, who dropped a massive 9.00 in his Round 2 heat for the highest wave score of the day. The event was a blend of faces old and new, including Luke Swanson (HAW), who, along with Levi Young (HAW), was the youngest competitor at the age of 14. 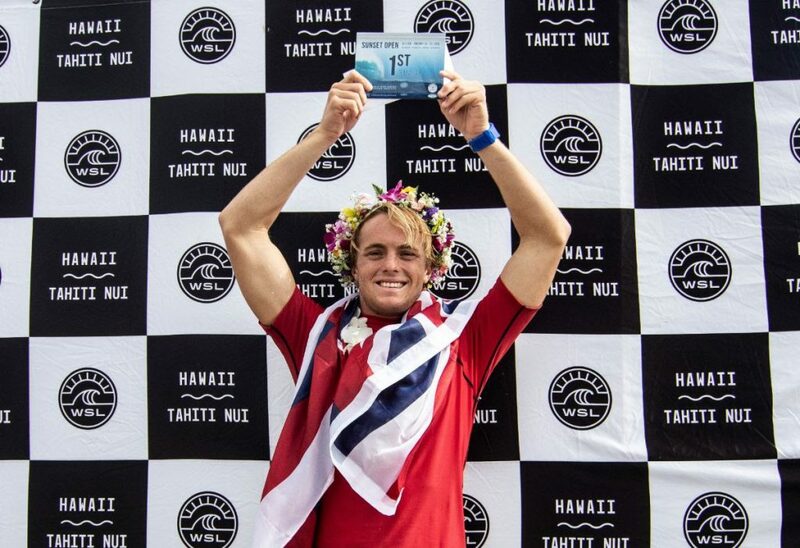 Swanson bested Young to advance out of the Round 1 draw, but surfed his way into a tough Round 2 heat against 2015 Big Wave World Champion Makuakai Rothman (HAW), Eli Hanneman (HAW), and Ulualoha Napeahi (HAW). 1st & 2nd advance. 3rd=65th place. 4th=81st place. 1st & 2nd advance. 3rd=97th place. 4th=105th place.